Prime, Nitro and Forge. Designed to deliver superior resolution and contrast, the new Bushnell optics will be available for viewing in the Optics Range demonstration area. 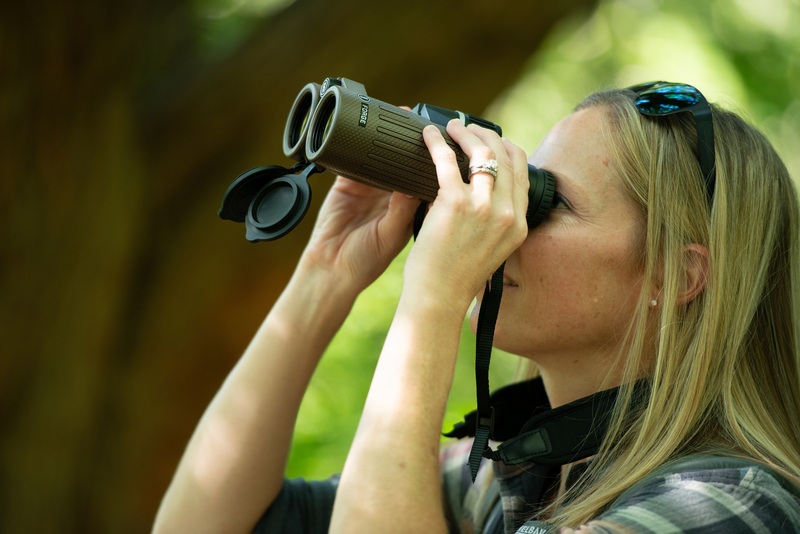 Attendees can also enter for the chance to win a set of new Forge 8x42mm binoculars. During the fourth annual Birding Expo, Bushnell will exhibit a slate of new optics perfect for birders. Engineered here in the United States, and built with premium components, exclusive technologies and the most sought-after features in the industry today, Prime, Nitro and Forge binoculars and spotting scopes set a new standard for optical clarity and low-light performance. All of the new optics feature proprietary optical designs that delivery superior contrast and resolution so that no detail goes unnoticed. Delivering bright, vivid images, Bushnell’s new optics are further enhanced through its exclusive EXO Barrier external lens coating. Added at the end of the coating process, EXO Barrier molecularly bonds to the lens and fills the microscopic pores in the glass. It is, quite simply, the best protective lens coating technology Bushnell has ever developed. The result is an ultra-slick coating that repels water, oil, fog, dust and debris. Prime binoculars offer amazing performance at an unbeatable price. They are fully multi-coated and waterproof, offering crisp, clear images in every environment. The new Nitro binoculars and spotting scopes are built to deliver even more with ED Prime Glass lenses that deliver true-to-life color. Meanwhile, Bushnell’s Forge line of spotting scopes and binoculars are built with the most exacting specifications to ensure nothing is missed. Every element in the optical path features the very best coatings Bushnell has to offer. The brightness, resolution and color produced by Forge are the best in class. Attendees who visit the Bushnell booth can enter to win a set of 8x42mm Forge binoculars. Sponsored by Birdwatcher’s Digest in association with the Audubon Pennsylvania and the American Birding Association, this year’s event will be held at the Greater Philadelphia Expo Center on September 21 to 23. A three-day pass for the Expo costs $10. Children 17 and under are free. A portion of the entrance fee, plus sponsor contributions and fund-raising programs, will be donated to the Expo Conservation Fund, which supports bird conservation and environmental education. For more information on the Expo, visit www.BirdingExpo.com. Bushnell, a Vista Outdoor brand, is one of the most recognizable and trusted names in outdoor recreational optics and accessories. To learn more about Bushnell’s newest optics visit www.bushnell.com. The redesigned site features enriched content, engaging videos and detailed product specs.